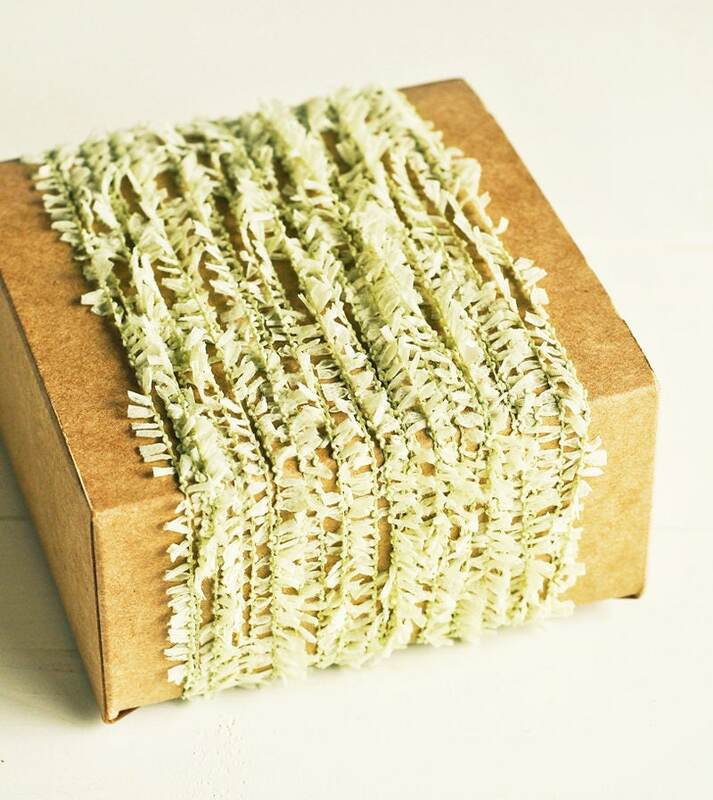 This listing is for 75+ yards of adorable ruffle twine in light green. This petite twine has delicate little ruffles/flags. It's charming rustic appearance makes it perfect for crafting, embellishments, gift wrapping, party decor, weddings, showers, scrapbooking and more. Flag ruffles measure approximately 5 mm to 1 cm wide with 2 mm of cord between them.